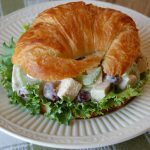 Our quick and easy chicken salad croissant sandwiches are filled with diced chicken, red grapes, crunchy celery, green onions and a dressing that's to die for! CHICKEN SALAD: Place the diced chicken, grapes, celery, and green onions into a large bowl; toss to combine, set aside. DRESSING: In a medium bowl, whisk together mayonnaise, sour cream, lemon juice, mustard, and spices until well combined. Pour dressing over the chicken salad; stir until well combined. 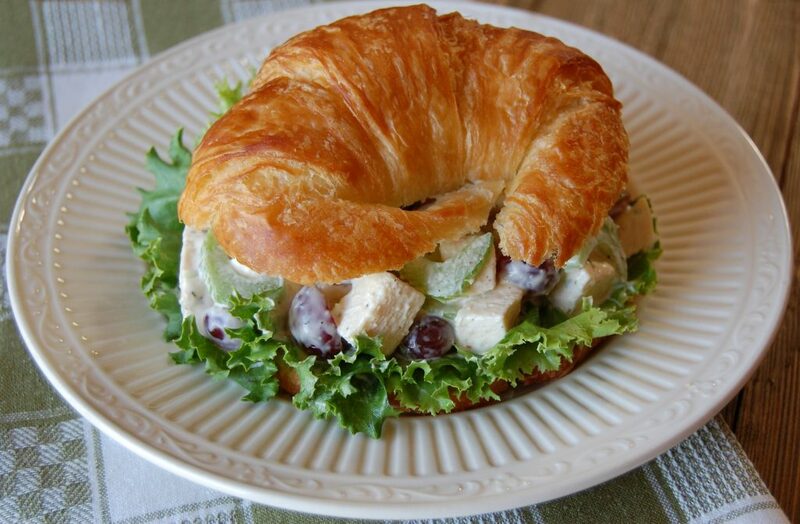 Slice croissants in half, place a lettuce leaf and a 1/2 cup chicken salad on the bottom half, top with other half croissant and enjoy!